The Palace of Arts (Művészetek Palotája in Hungarian) is a building in Ferencváros, Budapest, Hungary, officially opened in March 2005. It is located near Rákóczi Bridge and was designed by Zoboky, Demeter and Partners Architectural Office. The National Theatre, which opened in 2002, is located next to it. 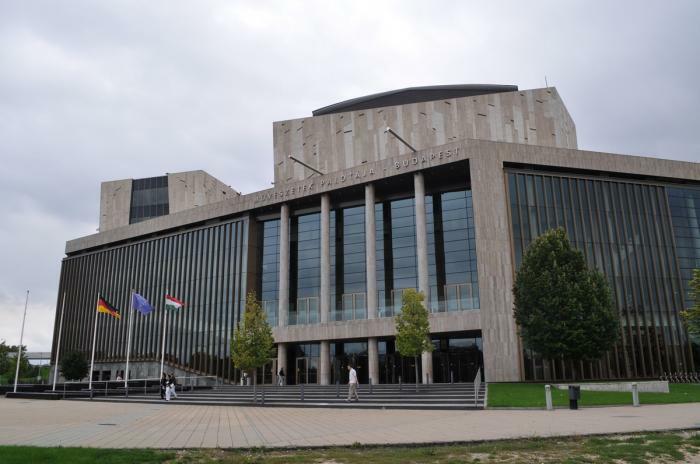 Both the Palace of Arts and the National Theatre are part of the new Millennium City Center being created in Budapest. The structure of the Palace of Arts covers a ground area of 10,000 m² and the total floor space of the building is 70,000 m². It received the Prix d’Excellence of FIABCI in 2006. The general manager is Csaba Kael. 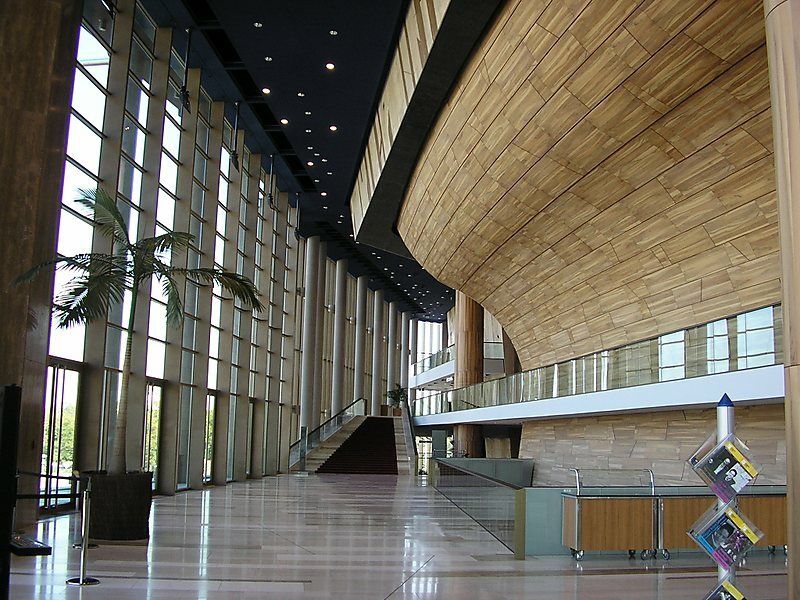 Bartók National Concert Hall is 25 m high, 25 m wide and 52 m long, providing a total capacity for 1,699 people. The concert hall features variable acoustics. 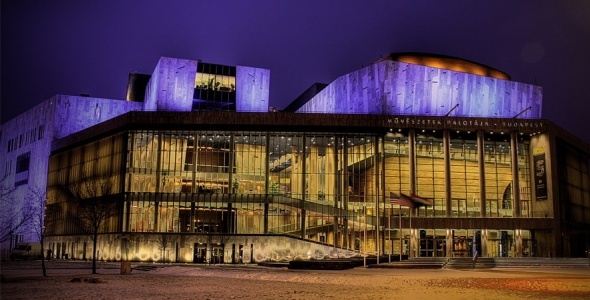 The organ of the concert hall, inaugurated in 2006 by Xaver Varnus, has 92 stops and 5 manuals as well as 470 wooden pipes, 5028 tin pipes and 1214 reed pipes. It is one of the largest organs in Europe. A fully playable virtual version of this pipe organ named Palace of Arts Budapest Pipe Organ Samples was developed in 2008. Ludwig Museum. This is a state of the art Contemporary Art Museum with paintings by;Picasso("Musketeer With Sword"),David Hockney,Tom Wesselman,Richard Estes("Rappaport Pharmacy") plus paintings by these Modern Hungarian Masters;Imre Bukta("Officers at Pig Feast").Laszlo Feher,and Imre Bak.There are also creations by;Claes Oldenburg ("Lingerie Counter"),Yoko Ono,and Markus Lupertz. Festival Theatre. The Festival Theatre, in the Eastern third of the Palace of Arts building, seats 452 and also has the most modern technology.